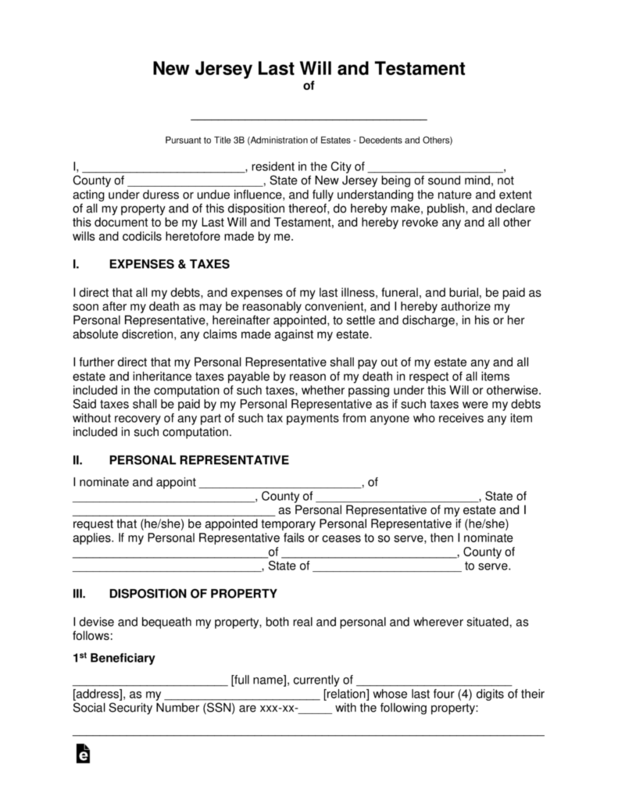 The New Jersey Last Will and Testament is a document that is created to state the wishes of how the estate of a testator will be distributed upon their death. 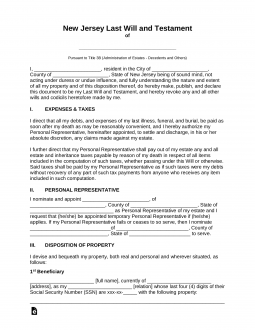 This document addresses the distribution of assets such as fiduciary, real property, personal property and other measures of gifting to family, friends, charities and/or other organizations. The document would be distributed only at the wishes of the testator, by a chosen executor or representative. The document must be appropriately witnessed and signed by two credible witnesses. It must also be witnessed by a notary upon completion. The document may be revoked or changed, by the testator at any time, as long as they are of sound mind to do so. Step 7 – Notary Public –After witness of all signatures, the remaining portion of the document will be completed and authenticated by the state licensed notary public.